My name is Sherry Riles and I would like to tell you my story. It all started about 3 years ago, when I was told I needed a full hip replacement on the right side. Having had issues nearly my entire life, I agreed. I healed fairly quickly, but had a complication that caused extreme pain in my thigh. Any length of standing or walking put me in extreme pain. I became almost completely sedimentary, and of course put on weight too. The weight issue I had dealt with since being a small child, so I just brushed it off as, here we go again. As the year progressed after surgery, I noticed even more joint pain, more weight, digestive issues, severe swelling and I could go on. I basically was in pain 24 hours a day and it just kept getting worse. I had given up on ever having a fulfilling life or any enjoyment past watching a good movie. Then one night of insomnia, which was nearly every day, I saw an interview with Dr. Anthony Sears. He spoke of thyroid issues, inflammation and diabetes. He described my symptoms to a “T”. I made an appointment that very day. That interview started the change in my life! I met with Dr. Sears, and he ordered a set of very specific tests. When the results were in, it was obvious to him and now me, I have Chronic Inflammatory Disease! All this time, nearly all my life but especially the last 4 years, my food choices and lifestyle were what was killing me. We started that day of making the changes to live an anti-inflammatory lifestyle. After almost two months of converting to this new lifestyle, the bloating and digestive issues were almost gone and I had lost 15 pounds, with no exercise at all. I was feeling so much better, that I knew I had to address my leg pain so that I could stop just sitting all day, every day. I reached out to my hip surgeon, and told him that I was feeling better and really needed to address this leg pain again. We had tried nearly everything, so he asked if I would consider aqua therapy. At this point, I was ready to try anything. I reached out to Baptist Milestone, and Ms. Louise, a membership concierge. She was the most caring and sweet person I had spoken to in years. I explained my situation and my fear of making my leg worse. She arranged for me to meet with a trainer that could get me started. And that is all it took. From the first day in the water, my life has changed. I started attending classes and for the first time ever with a gym membership, I actually go!! The trainers have been so wonderful and encouraging to me. They offer advice and answers to my questions. And they focus on pushing me but in such a healthy and safe way. I am in the pool a minimum of 5 hours a week and cannot believe how my muscle has increased! My leg was like jelly when I began, but now….even my grandchildren have made comments on how muscular my legs and arms are looking. Baptist Milestone has given me a new outlook on life and a place where I feel welcomed, encouraged and fantastic! 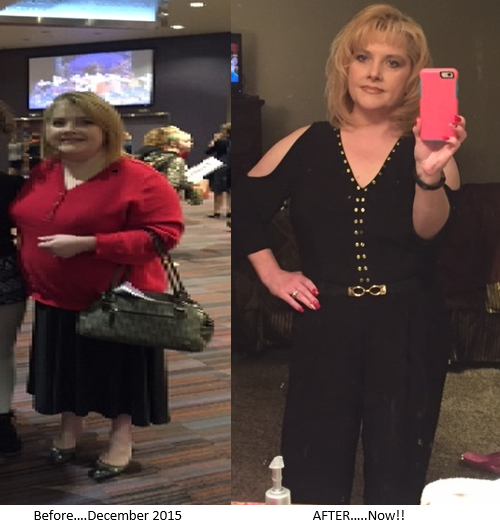 Here are my before and after pictures. Sad to say, you can’t take pictures of how you feel! !